The exhibition Walking with Gaudí, a unique collection dedicated to the life and work of the great architect Antoni Gaudí, opened on 21 September. The exhibition has 22 audiovisuals, multimedia spaces, 20 models, replicas and sets, and over 150 linear meters of display cabinets and exhibition media distributed over 3 floors, a total tour of 1,000 m2. The technology makes it possible to experience an innovative virtual reality experience with augmented reality and interactive content to complement the visit. In collaboration with The Gaudí Exhibition Center, Temps d’Oci Incoming has elaborated educational visits for international school goups. Thanks to these tours, students could discover the life and works of this genius and the same time that they have fun. ARE YOU INTERESTED TO BOOK A HOSTEL EXCLUSIVELY WITH UNBEATEN PRICES? 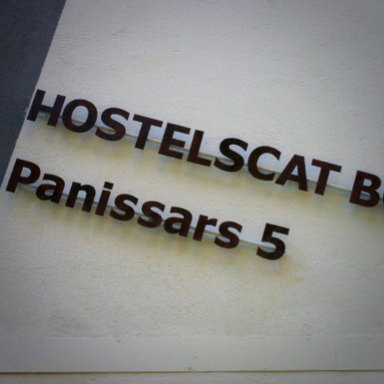 In the heart of the “Sants” quarter, one of the most genuine districts in Barcelona, we find the “HOSTELSCAT” a small hostel with a maximum capacity of 32 pax, but from 20 people, you could have the option to book all the building for the same group exclusively. With the owner at the front desk and his mother helping with the breakfast, lunch or dinner service, this is a real family hostel. If you want that your clients don’t miss home, this is the best place to stay. Malaga “Ciudad Genial” would be something like “Great City” in Spanish and this is the sentence that the local tourist bureau use now to promote this southern capital. 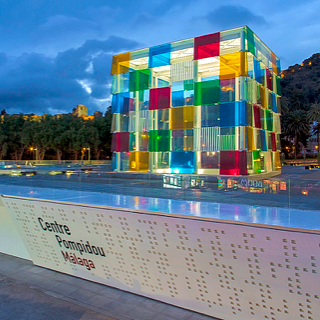 The Pompidou Centre in Málaga is the home of the Georges Pompidou National Centre for Art and Culture in France and is located in building called El Cubo in Málaga. It is the second site located outside the original center in Paris and the first outside France. The Pompidou Centre in Malaga exhibits its permanent collection of some 80 works by such artists as Picasso, Francis Bacon, Giacometti, Magritte, Brancusi, De Chirico, Frida Khalo, Chagall and Kandinsky, among others. There are also two or three temporary exhibitions per year.